EYEBROW LIFTING, FRONT LIFTING – For a radiantly beautiful appearance. EYEBROW LIFTING, FRONT LIFTING – For a radiantly beautiful appearance. 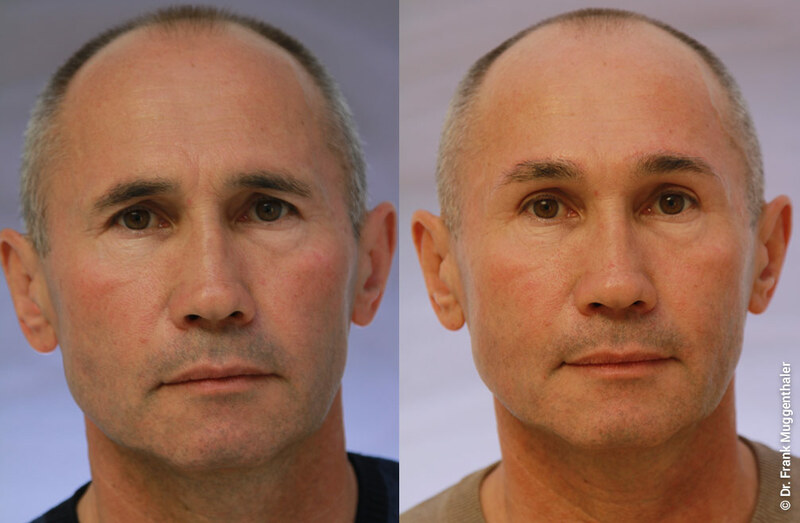 When your looks in the mirror seem tired or even angry, even though you feel young and awake, an eyebrow lift, also known as a forehead lift, may be the best and easiest way to regain a youthful appearance. 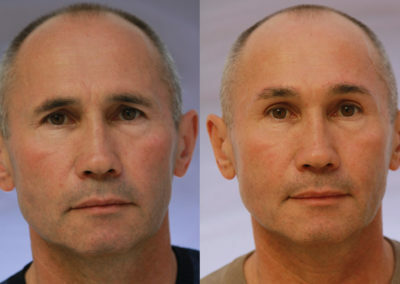 Eyebrow lifting elevates the entire forehead and eyebrows and permanently eliminates annoying wrinkles. 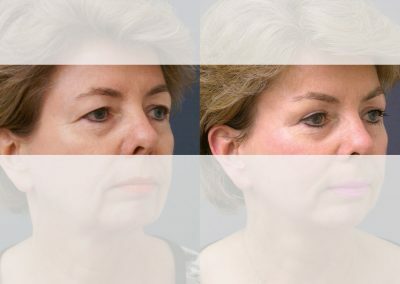 The result of the eyebrow lift can easily be simulated on the mirror. 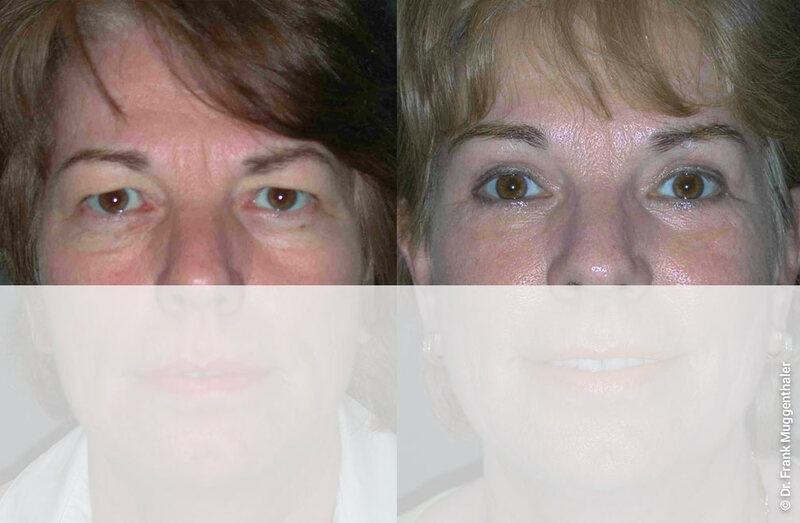 Raising the eyebrows opens the eyes, tightens the eyelid and cheek skin and leads to a very impressive rejuvenation. 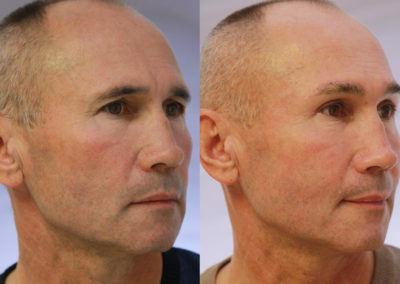 Thanks to our method, it is possible to lift the eyebrows into almost any desired position, even under local anaesthesia, with only very short and later almost invisible incisions at the hairline. Only a few days after the operation you are socially acceptable again. The results appear particularly natural and are permanent. 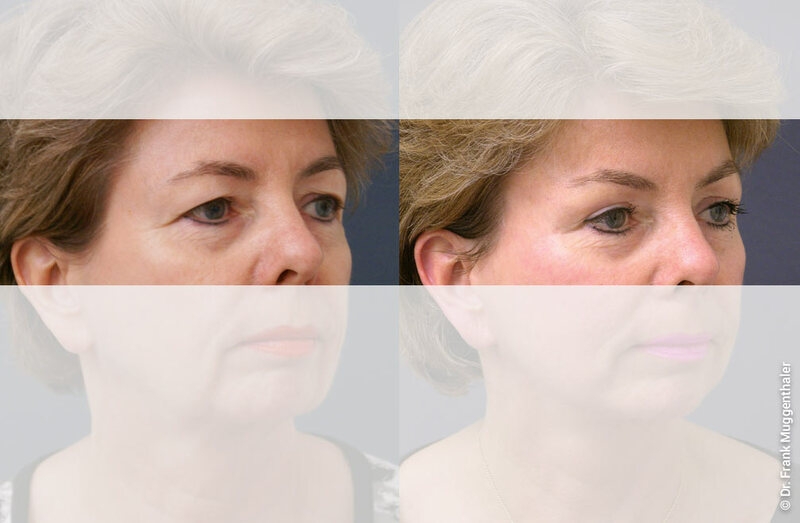 Combination of eyebrow lift and upper eyelid correction with the aim of a balanced position of the eyebrows and “opening” of the eye area. 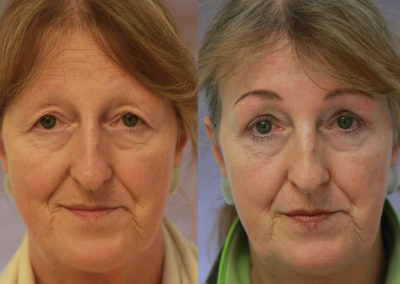 A slight lifting of the eyebrows supports the effect of an upper eyelid correction. 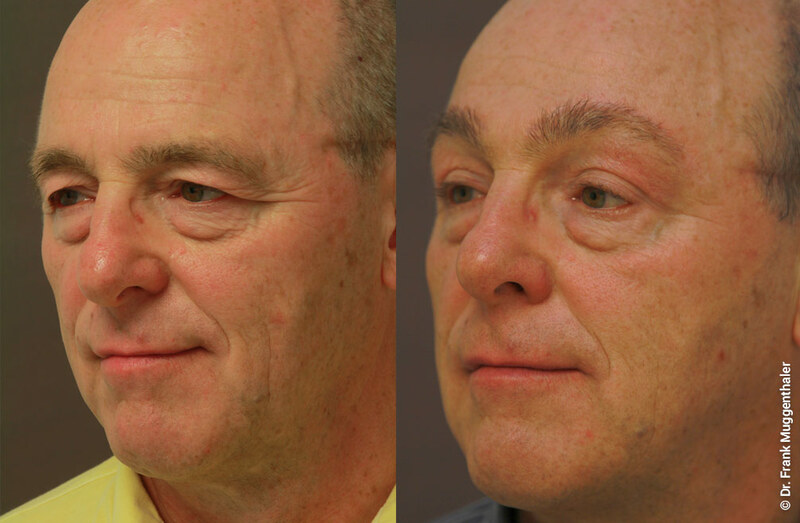 Thanks to the combined raising of the eyebrows, the incisions on the upper eyelids can be reduced to a minimum. After the eyebrow lift the gaze appears open and awake again. 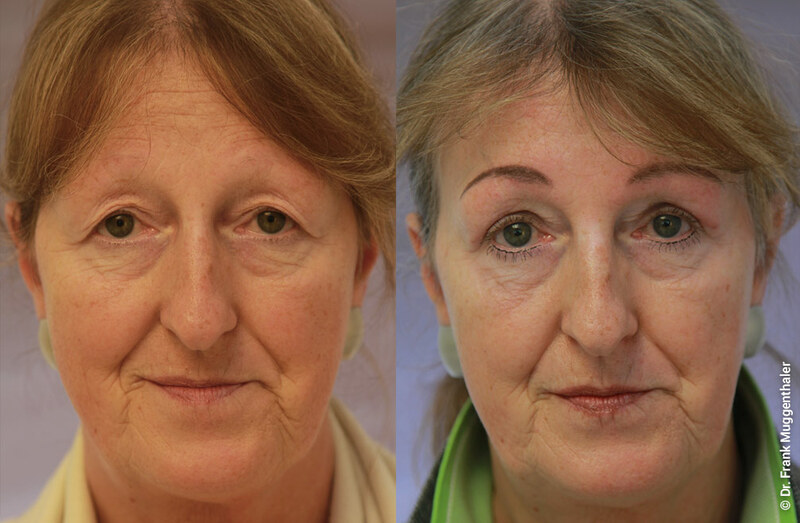 Combination of eyebrow lifting with upper eyelid correction. 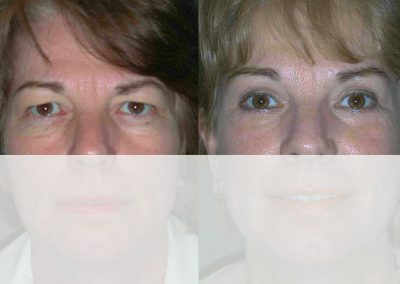 The combination of eyebrow lifting with upper eyelid correction has also enabled a particularly harmonious result here. 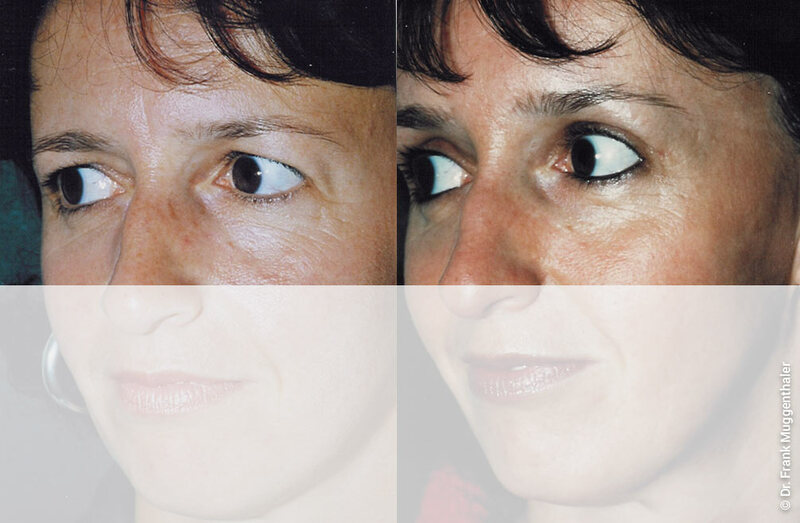 In many cases it makes sense to perform several corrections at the same time: lifting the eyebrows, lateral tightening of the temporal region and, if necessary, correction of the excess eyelid skin. The interaction of the various measures creates a harmonious, very natural looking “open view”. 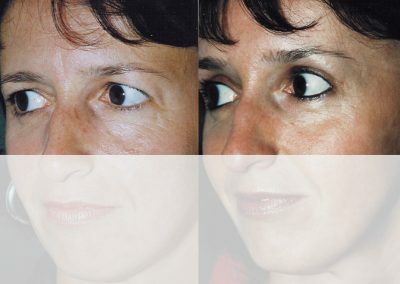 The steps necessary for an eyebrow lift are located at the hairline or in the hair and are later almost invisible. 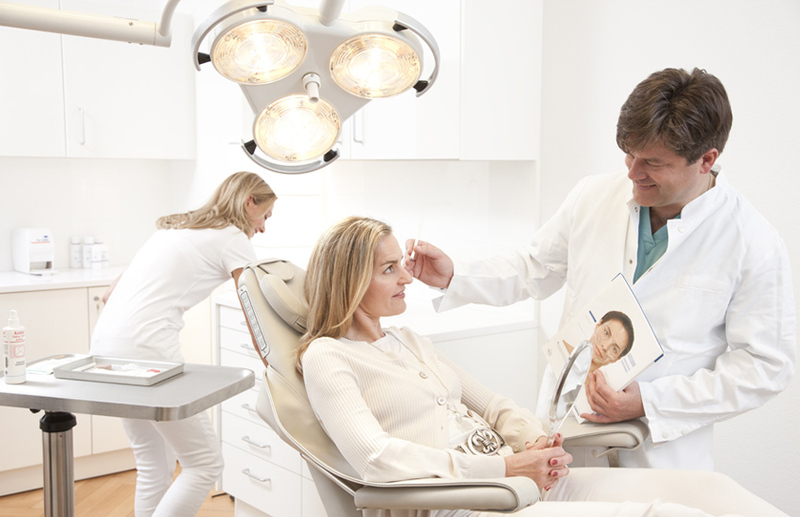 In many cases, an operation on the upper eyelids becomes superfluous or can be limited to a much smaller extent. During the consultation we discuss with you whether and to what extent the eyebrows should be lifted and where the incisions should be placed so that they are virtually invisible later. This is very individual and should be determined specifically for each patient. We often recommend additional correction of the upper eyelids in order to achieve a particularly effective and natural result. We attach particular importance to type-appropriate treatment planning in order to preserve its natural expression. The treatment of eyebrow and forehead lifting is performed in a relaxed atmosphere in twilight sleep or under local anaesthesia. The skin is loosened over approx. 4 cm long cuts on both sides of the hairline up to approx. one centimetre above the brows. The eyebrows are then lifted to the desired position by means of self-dissolving holding threads sunk into the depth. In most cases, this results in a slight excess of the forehead skin, which is removed. The wounds are also closed with self-dissolving threads. In order to guarantee an optimal quality of the intervention, we never perform an operation under time pressure. 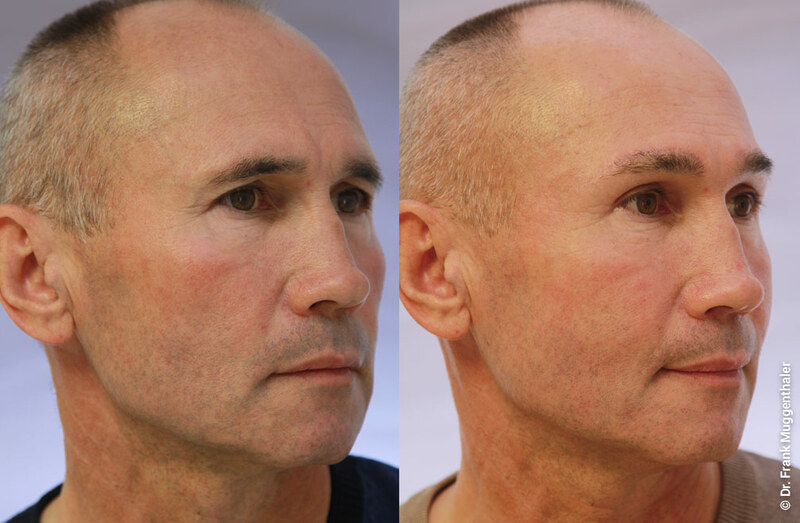 Thanks to generous time planning and methods that have been tried and tested over many years, our patients have significantly fewer problems with swelling and discolouration than patients using other methods of forehead/sleep lifting. 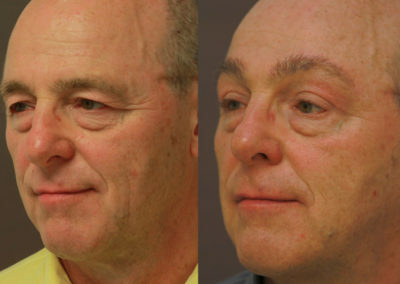 To keep swelling to a minimum, the eye, temple and forehead regions are cooled immediately after the operation. The forehead bandage can be removed in the morning after the operation. The hair should be washed normally on the second day after the procedure. For wound care, our patients receive various special creams to accelerate the healing process. If skin clamps have been placed, they are removed after three to four days. All other sutures dissolve by themselves within 10 to 14 days. After ten to fourteen days most patients are fully socially acceptable again. During the first six weeks after a lift, sports activities should be avoided, otherwise swelling and a feeling of tension may occur again. Do I look younger after an eyebrow lift? Yes, the face looks about 8 to 10 years younger. The scars lie in the hairline, or at the hairline of the forehead. Does it raise the forehead? If the forehead is extremely low, the incision is made approx. 5 cm into the hair – raising the hairline. Otherwise the hairline remains unchanged. Is there any loss of sensation in the forehead? The sensory disturbances behind the incisions can last up to 6 months. Postoperative bleeding can occur in the first hours after the procedure. Damage is extremely unlikely. Infections do not occur if hygiene is observed during the first week after the procedure. No. No hair is removed. How long do I have to rest? During the first 8 days after the operation, nothing should be done that could be harmful to the body. Can I work again after 1 week? After approximately 7 to 10 days the unrestricted social ability exists again. 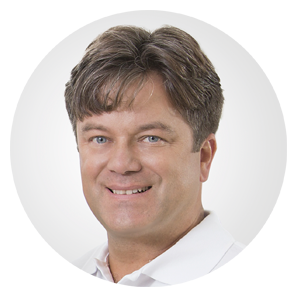 On this page Dr. Frank Muggenthaler answers the most frequently asked questions about eyebrow lifting / forehead lifting. Can’t find an answer to your question here? Then get in touch with us! 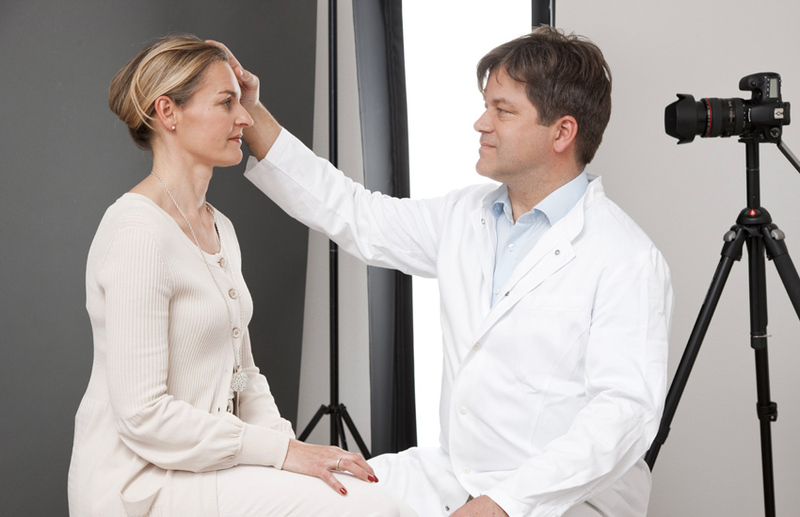 We will answer all your questions, gladly in a personal consultation in our practice in Basel.